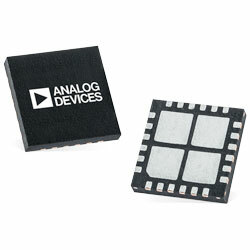 Analog Devices LT8640S-2 Step-Down Silent Switchers are synchronous regulators providing Silent Switcher architecture. These switchers are intended to reduce EMI emissions and provide high-efficiency at high switching frequencies. The switchers give peak current mode control with a 30ns minimum ON-time that enables high step-down ratios at high switching frequencies. These switchers also come with ultralow quiescent current Burst Mode operation. Typical applications include general purpose step-down, automotive, and industrial supplies.